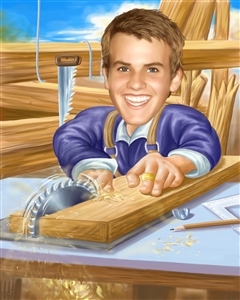 He is always the handyman around your house. He enjoyed building a deck or closet to suit his own taste. Send him this personalized caricature to show your appreciation. He deserves it. We were very pleased with the picture we ordered and the person to whom it was given was thrilled.